Physicians today are inundated with proposals (and articles) on how to make money to boost the bottom line. In today's climate of declining revenues, it is easy to be tempted by new revenue opportunities. Before signing on, it is wise to note that if it sounds too good to be true, it often is. Even if the arrangement is a financial success, it may lead to damaging consequences including alienation of patients or colleagues, bad publicity, or even lawsuits, loss of medical licensure, and imprisonment. One manner in which neurologists seek supplemental income is through legal consultations. These activities range from review of cases involving personal injury, worker's compensation, medical malpractice, and peer review of neurological services. Problems arise when minority opinions are rendered and other guidelines for expert opinion are ignored. Some medical societies scrutinize expert witness testimony and sanction or expel members who deviate from expert witness guidelines. The AAN has developed a Code of Professional Conduct for its members. One purpose of its provisions is to inform Academy members about what constitutes ethical expert testimony. A neurologist who violates these provisions as a member of the AAN is subject to disciplinary action under the By-Laws and Disciplinary Action Policy of the Academy. Steven M. Lomazow, MD, President of the New Jersey Neurological Association and a member of the New Jersey State Board of Examiners, cautions: “Physicians who provide false testimony are also at risk of losing their medical licenses.” Dr. Lomazow participated in one case this year when a radiologist's license was revoked due to fraudulent off-site reading of MRI scans. In particular, activities that require neurologists to participate in off-site interpretations of activity can be risky proposals. Neil A. Busis, MD, former President of the American Association of Neuromuscular and Electrodiagnostic Medicine (AANEM) and member of the AAN Medical Economics and Management (MEM) Subcommittee, has been asked to review the practices of such businesses on several occasions. One of the consequences for this burgeoning trade and the rise in unnecessary tests is an increase in Independent Medical Examination (IME) and peer review activities. Such activities, in which neurologists assess whether services performed by other neurologists were medically necessary, are being examined for violations as well. Michael I. Weintraub, MD, a neurologist in Briarcliff, New York, who has written extensively on the subject of expert witness testimony, has been a longtime proponent of self-regulation among physicians. “While it is a constructive practice for neurologists to get involved in the claims review process and to help expose parties who abuse the system such as those who participate in accident mills, reviewers should make sure that they follow the guidelines,” he advised. “Unfortunately, since some insurers are looking for sympathetic reviewers to shun their financial obligations, a cottage industry has arisen for neurologists who are semi- or fully-retired and for those who are looking for easy income,” he explained “Sadly, there are wolves in sheep clothing who are trying to make money off of the hard labor of honest neurologists; they recommend denial of all services and use the same language in all their letters. 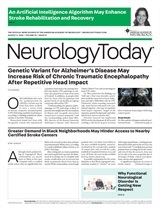 However, they are becoming increasingly exposed by peers and some are under review by state insurance commissioners, professional societies, and medical associations.” Dr. Weintraub believes it is ultimately up to neurologists to report such activities. And what about simply getting the right advice for everyday business operations? It is often more difficult than it seems. When Bruce Sisgsbee, MD, was first in practice, he retained the services of a CPA who worked for the health care division of one of the major accounting firms. He depended on the CPA to help run his medical practice. But knowing the nuts and bolts of tax accounting is not necessarily the same as understanding the business operations of a medical practice. “I soon discovered that his advice did not translate into effective practice management advice,” Dr. Sigsbee said. Dr. Sigsbee, who later earned his own accounting degree, now teaches AAN courses, advising neurologists on how to make informed practice management decisions and how to avoid similar pitfalls. In fact, experts agree that physicians, unlike most business people, seem to move ahead with attempts to extend their services without engaging in a due diligence process. And neurologists, like other doctors, have been known to make hasty decisions to add new tests or treatments and later discover that they have been money-losing propositions. Physicians also seem to be easy prey to investment scams. And because as physicians, we are not formally trained in business, we are easily lured by the slick marketing language of sophisticated swindlers touting the financial rewards of “a sure thing.” “In one unfortunate incident, a local developer rehabilitated a downtown building using primarily physician investors,” Dr. Sigsbee said. As neurologists struggle with declining income from traditional revenue sources, it is easy to succumb to temptations that fall outside our core competencies. But it is prudent to consider that those who purport to give us advice or provide income opportunities may not fully understand the economics of medicine. Furthermore, they may not always share our best interests, and at worst could be working at cross-purposes with us. Finally, when considering outside investments, bear in mind that reward is usually commensurate with risk, and that the “free lunch” remains exceedingly rare.